Searching for home design inspiration? Below, you'll find an overview of some popular interior design styles that should spark your creativity. Remember, though, that it's not a strict science - you're free to mix different styles or some of their elements. 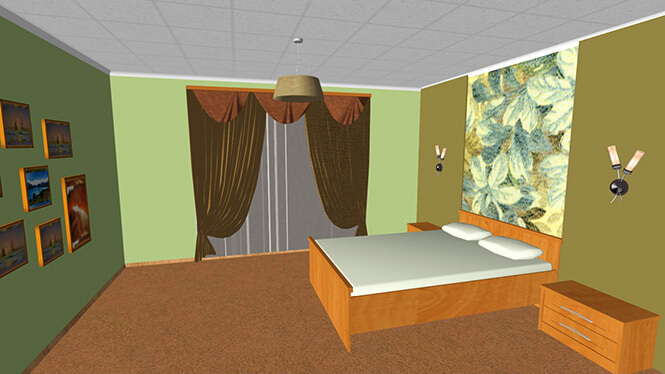 With 3D interior design software in hand, you can experiment with various styles and create a truly unique look for every room of your house or apartment. Traditional interiors have a cozy, homey feel. They're set apart by time-tested accessories, attention to detail and consistency. Furniture pieces and other objects are often combined in pairs here. Fabrics and finishes tend to have muted colors, with floral patterns commonly used. As its name implies, contemporary style reflects the ideas and trends that are most popular here and now. Contemporary interiors of today try to balance simplicity and functionality. Smooth and clean geometric shapes are widely used, with original furniture pieces and bright colored accessories not uncommon. Hi-tech interiors stand out with their dynamic elegance. Ergonomics is key here, resulting in lots of open space, smartly organized storage, an abundance of modern household appliances and digital gadgets. The visual look is created by shiny metal, glass and plastic textures, restrained basic colors and bright accents. Spacious rooms with a minimum of furniture are typical for this style. Inspired by Japanese home design, minimalist interiors look airy and light. While the white color is thought to be the most widely used here, natural shades like beige, grey, and light green are becoming more and more popular now. Rooted in the centuries-long European tradition, the classic interior design style brings splendor and luxury to modern houses. Elaborate furniture, rich carved wood, elegant fabrics - all together they should create a harmonious look. Quite often, furnishings are arranged around a central point, such as a fireplace. Create Your Own Inimitable Style! 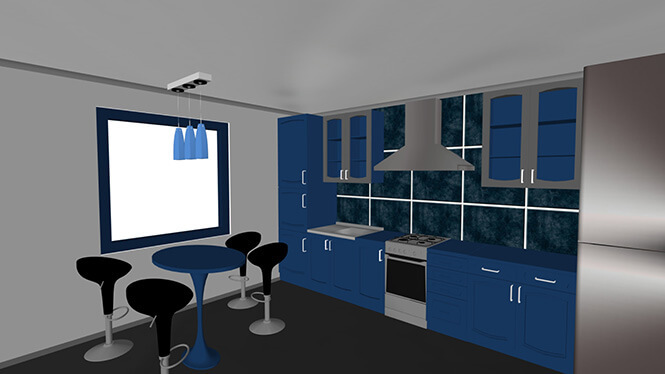 With Interior Design 3D software, you can step into the shoes of a professional designer. Unlike sophisticated CAD programs, this application is totally intuitive. From floor plans to furniture layouts, everything is done with drag & drop here, and there's also a selection of ready-made demo projects to get you started in minutes. Bring your home décor ideas to life on the computer screen and enjoy high-quality 3D renderings! Why Use Interior Design Software? 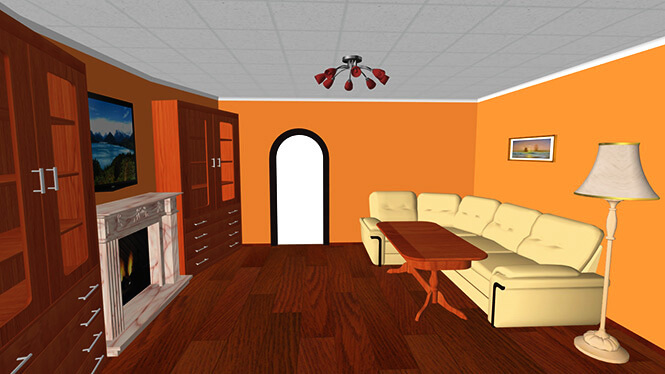 Download Interior Design 3D software and save money on redecorating your home! We were planning our kitchen renovation and couldn't agree on the colors. 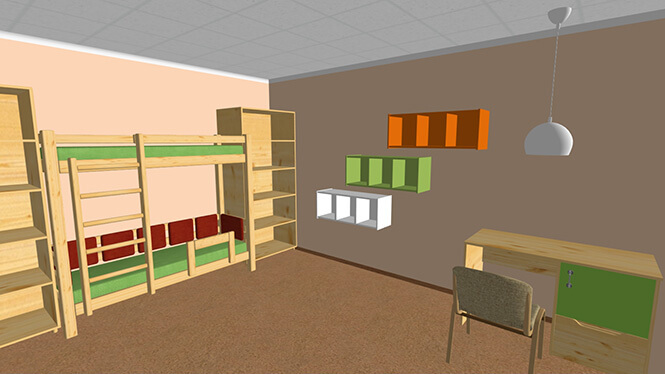 Then my husband found this interior design software on the internet and made some great-looking layouts with its help. Together, we tried out different materials and finishes, and it was awesome to see it all live on the 3D plan. Eventually, we came up with a design we both loved! Tried a few other floor plan creators before, but they were all too technical for me. This one is amazing - totally easy to use even for a novice. I'd recommend it to everyone who wants to start designing without having to go through hours of tutorials just to figure out how to do some simple task. Want a perfect design for your house or apartment? 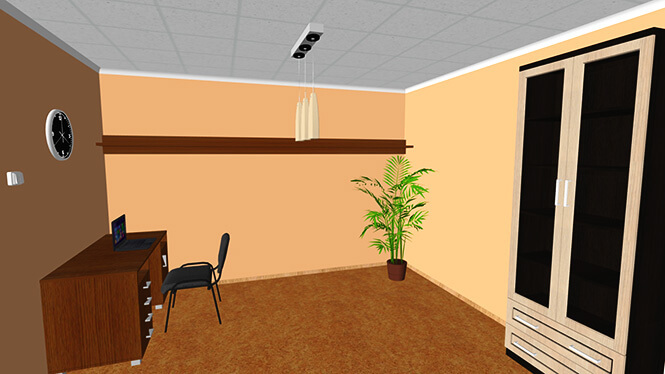 That's easy with Interior Design 3D!